Though it’s now been confirmed that Sony’s Venom movie will NOT take place in the Marvel Cinematic Universe, after much back and forth between the two studios, there’s still a few reasons to be optimistic about it. True, a film about Venom without Spidey seems like an idea that simply cannot work, but with Tom Hardy playing the titular antihero and it having been confirmed that Carnage will show up as the villain, it’s hard not to be excited about what Sony may have in store for us. 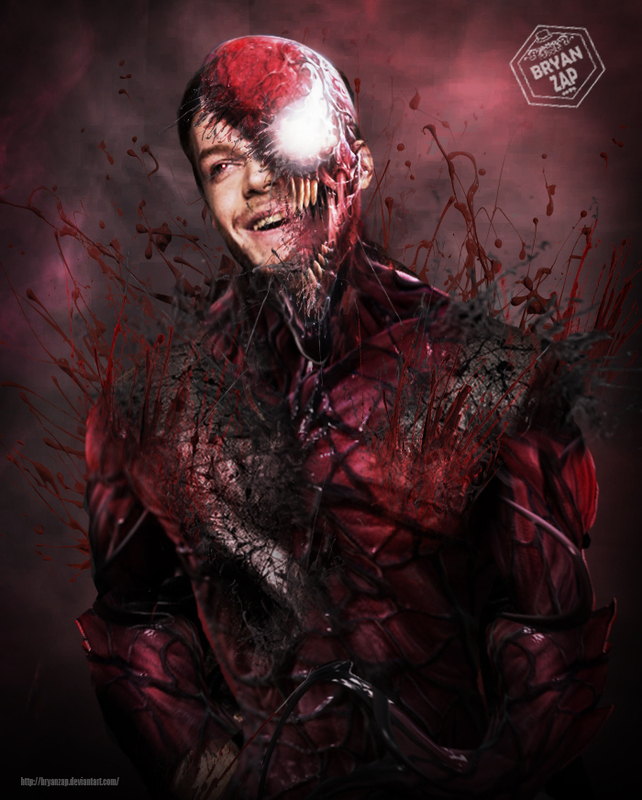 In fact, ever since it was announced that the villainous Cletus Kasady would be the primary antagonist of the film, many an actor have thrown their hats into the proverbial ring to play what will no doubt be a meaty and showy role, one that could even lead into yet another Spider-Man spinoff. And while the studio’s remained quiet on who they might have their eye on, one person that fans have been campaigning for to get the part is Cameron Monaghan. 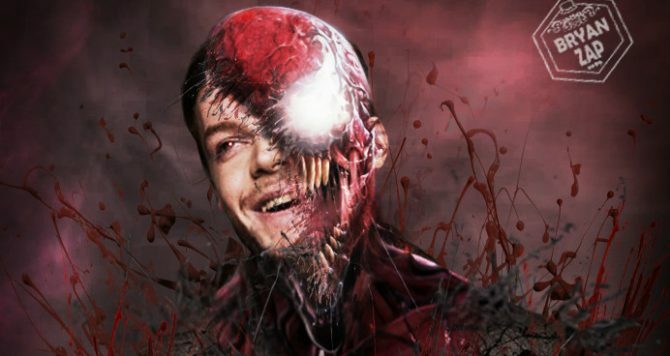 Best known for playing Jerome on Gotham, and doing a rather brilliant job at it, it seems the young actor would be thrilled to take on the role of Carnage should Sony approach him. When asked about it on Twitter, he said that it would be a dream come true, revealing that he’s been a fan of the character ever since he was a kid. Now, just because Monaghan is interested in no way means that he’s even being considered or looked at, but you have to admit that he’d make an excellent Carnage. We’ve all seen what the actor can do with a villainous role over on Gotham, and thanks to some recent fan art by Bryan Zap (seen below) making the rounds lately, it really becomes easy to see him taking on the part – doesn’t it? Time will ultimately tell if anything comes of this, of course, but with production on Fleischer’s Venom pic kicking off in earnest this September ahead of a planned release on October 5th, 2018, it shouldn’t be too much longer now before Sony starts dropping the casting news.